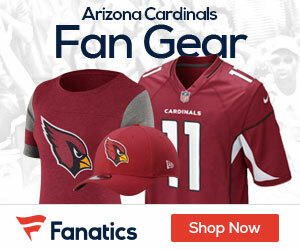 « Poll: Based on Right Now; Who Wins the NFC West in 2011? The retirement of Alan Faneca likely pushes Rex Hadnot into the starting lineup, a role the 29-year old had been played in the previous five seasons before signing a three-year, $5.2 million contract with the Cardinals last March. “I just want to do my best to put myself in a position where I can be one of the first five out,” Hadnot said of his role with the Cardinals going forward according to Bob McManaman of The Arizona Republic. Faneca might not be the only veteran starter the Cardinals lose this off-season. For a second consecutive year, the Cardinals placed a “Second-Round” tender on Deuce Lutui prior to the lockout. However, depending on the rules that are implemented in 2011, either in a new collective bargaining agreement or an agreed upon set of rules while negotiations towards a CBA continue, Lutui, who has started 72 of 78 games entering the NFL in 2006, could become an unrestricted free agent. Whichever way the line shakes out, Hadnot has confidence offensive line coach Russ Grimm will make it work.